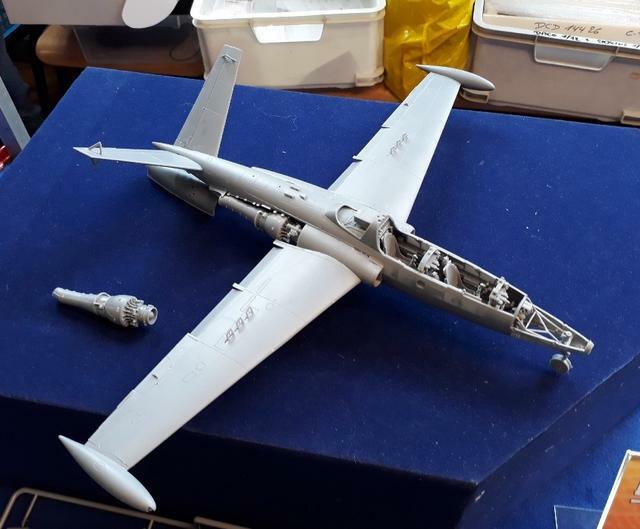 Already for quite some time the Fouga Magister was planned to be done as a model by DACO, originally in 1/48th scale but as Kinetic and AMK released theirs meanwhile, I decided to enlarge all files into 1/32. 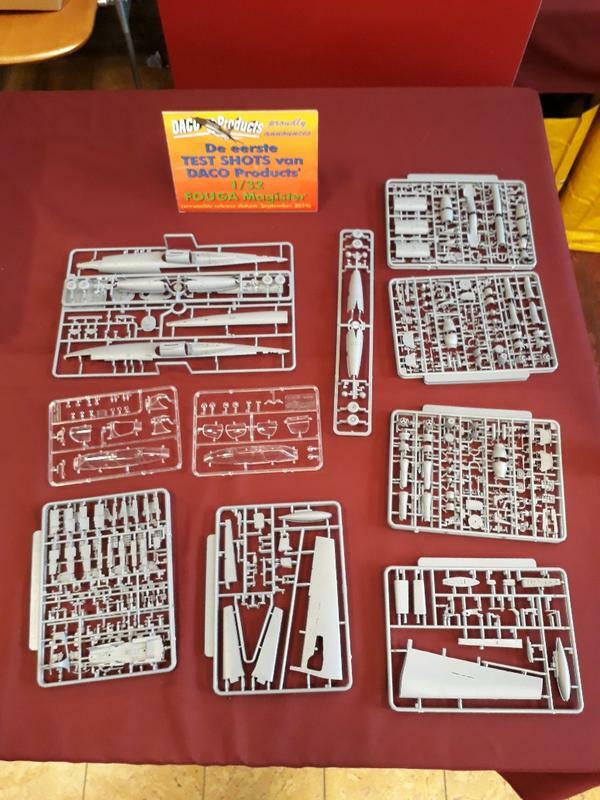 This kit will contain more than 450 parts, with separate engines, detailed guns and other armament, specific parts for the various versions, but most of all: it is accurate ! Just select one of the price ranges, the quantity you might want to obtain and send all info to me by completing the shopping cart. Looks very nice. I hope Danny will be able to finance the tooling. Any chance of the Zephyr too? Market is smaller yet there's a "navy aura" so perhaps I guess. First things first, I hope the Magister is financially viable. Add Irish Air Corps decals and you'll guarantee extra sales in Ireland. Yes.... I might have to sell half my stash to afford one but yes. At the ESM at Nieuwegein/ NL last saturday, I met Danny Coremans and he is expecting the first test shots soon. The release is scheduled for Spring next year probably. 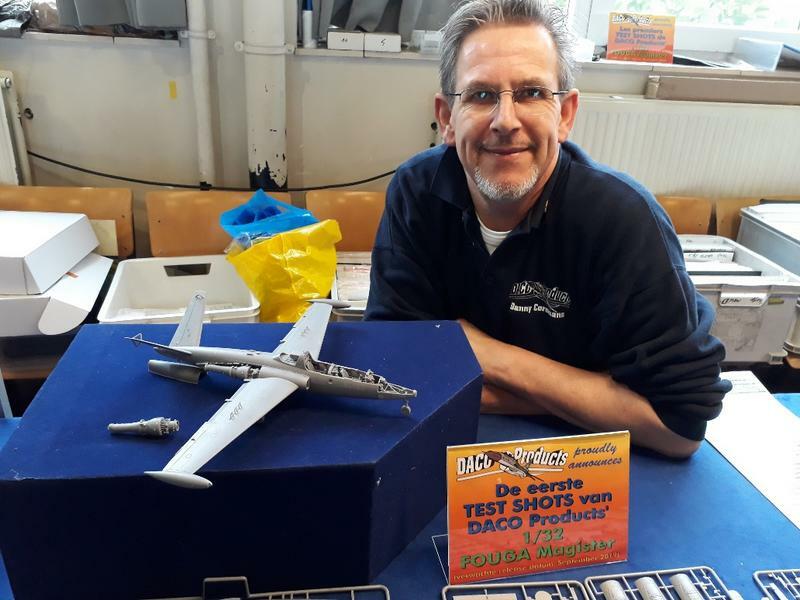 His new Lightning book is expected for sale at Telford. 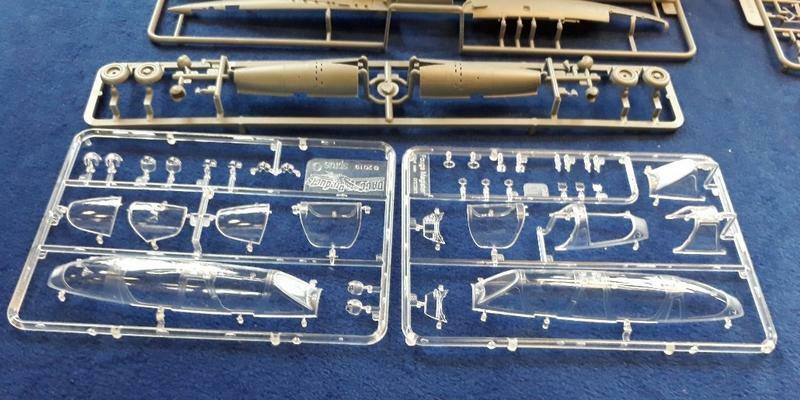 Sprue layouts are now finished and the tooling will be started soon. I found a new tooling company in China - after the previous one managed to keep this project for more than a year "on the side" - and we are now talking about the technical side of the project. 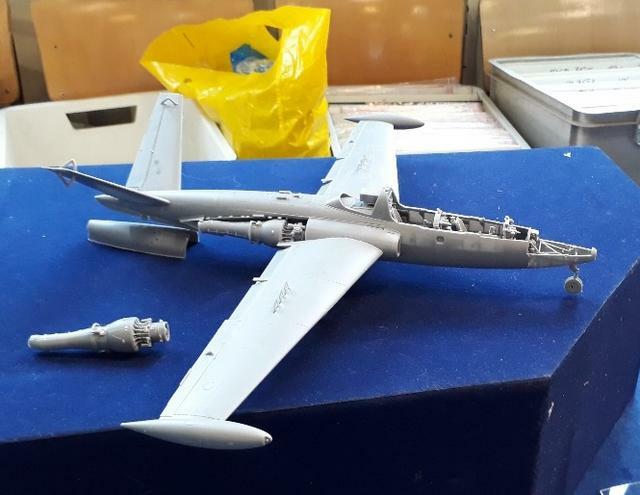 The Fouga Magister project in 1/32 scale, a highly detailed and very accurate kit of this particular trainer, with more than 500 parts, will become available around March 2019. Another tooling company in China took over this long-due project and has working hard the past 3 months to make it even better than it was. You will love it - I do already! Best of secess with this project! In DACO we trust ! Well done Dany, put me in for this long awaited one ! One thing is for sure , we don't have to worry about the decals ! I'll be there to put them in zip bags ! First test shots. Congrats Danny ! Hats off! I see a number of slide-moulded parts as well. Nicely done. Cool! Definitely investing in one of these! Standard French markings for me. Oh yes, I'll be having at least one, IAF, Light Attack for preference .. Looking very nice. Sorry to ask but any idea on (UK) price please? Hope to have the box in the hands this year!